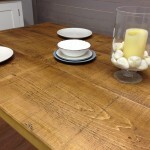 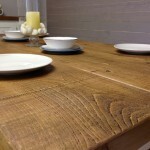 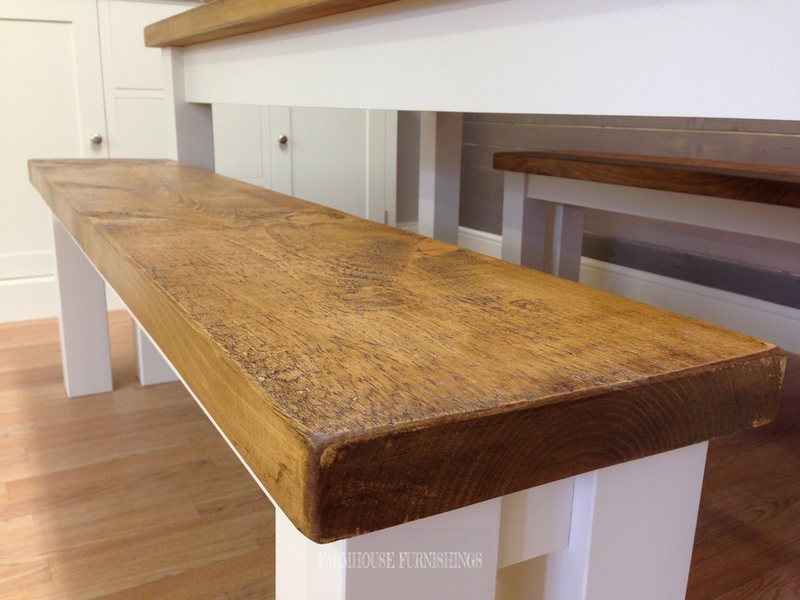 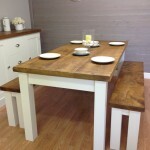 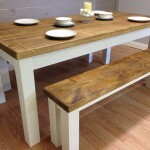 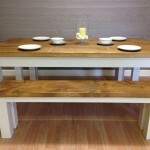 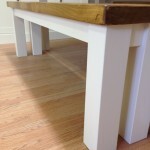 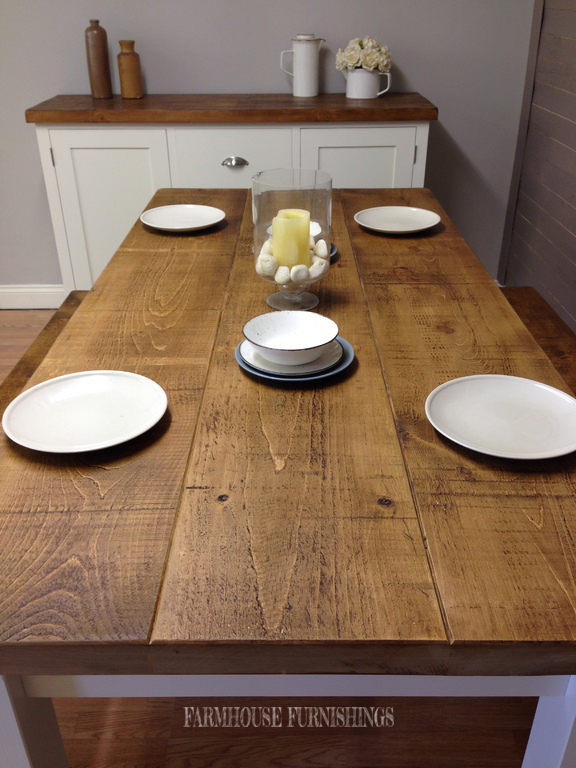 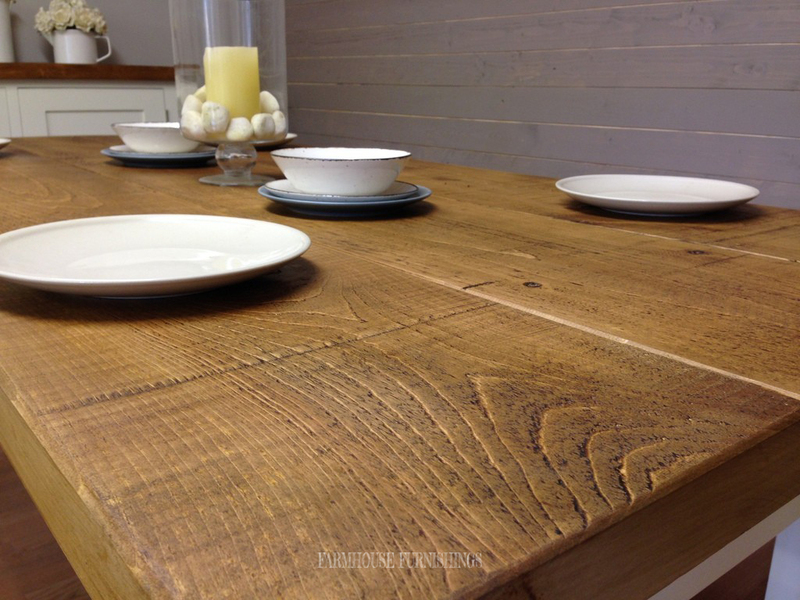 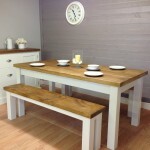 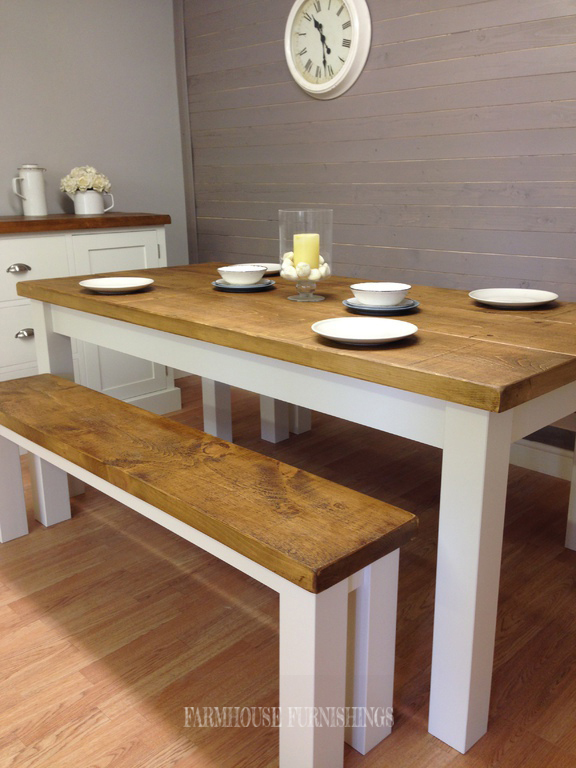 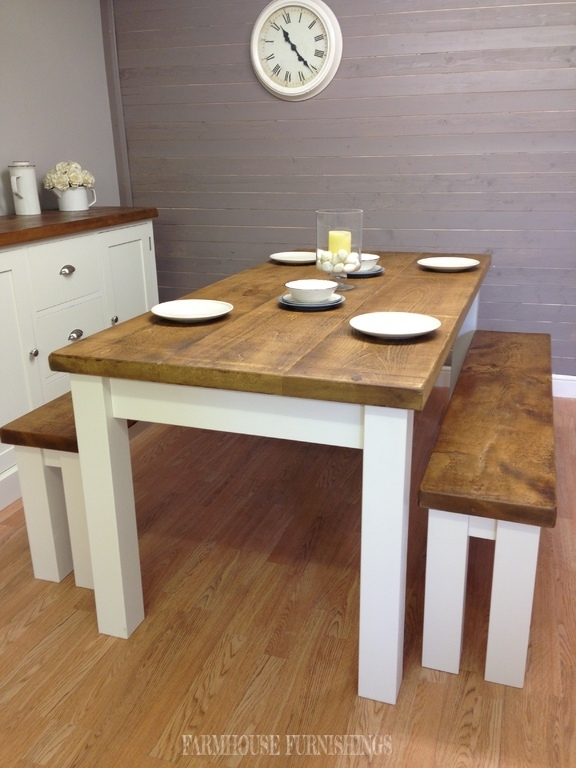 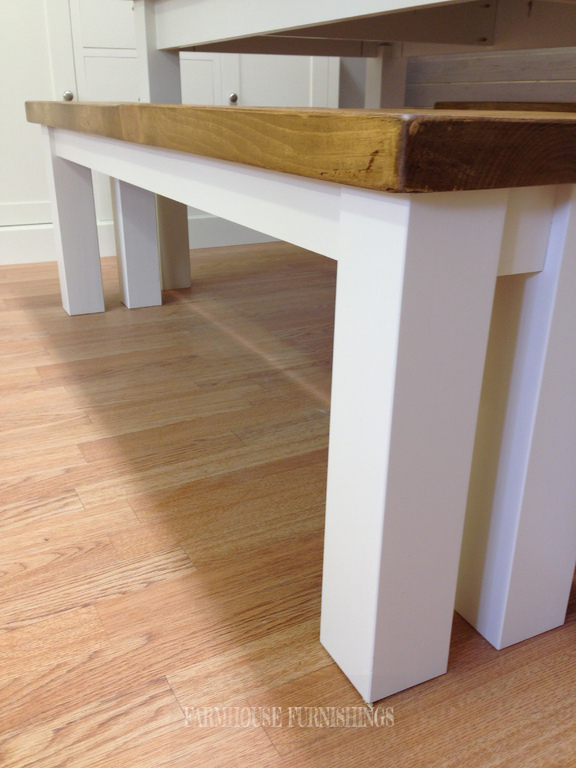 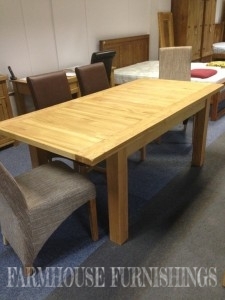 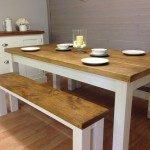 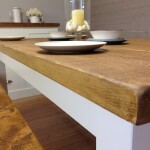 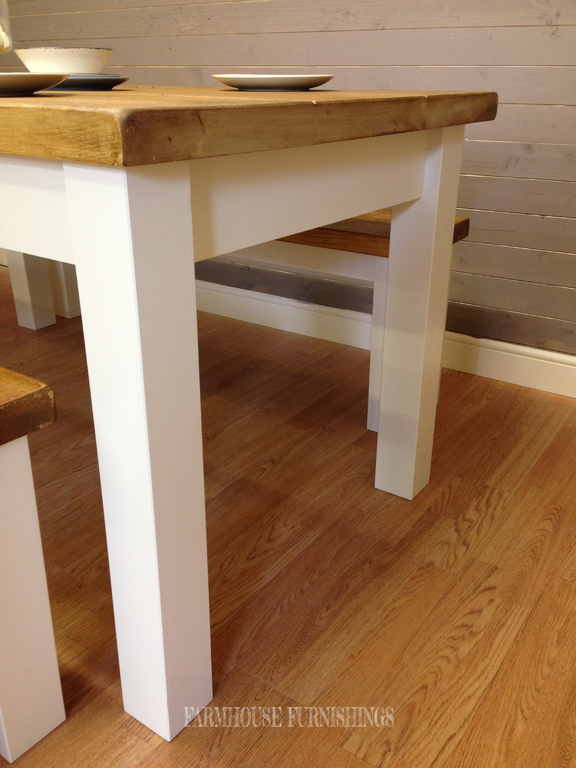 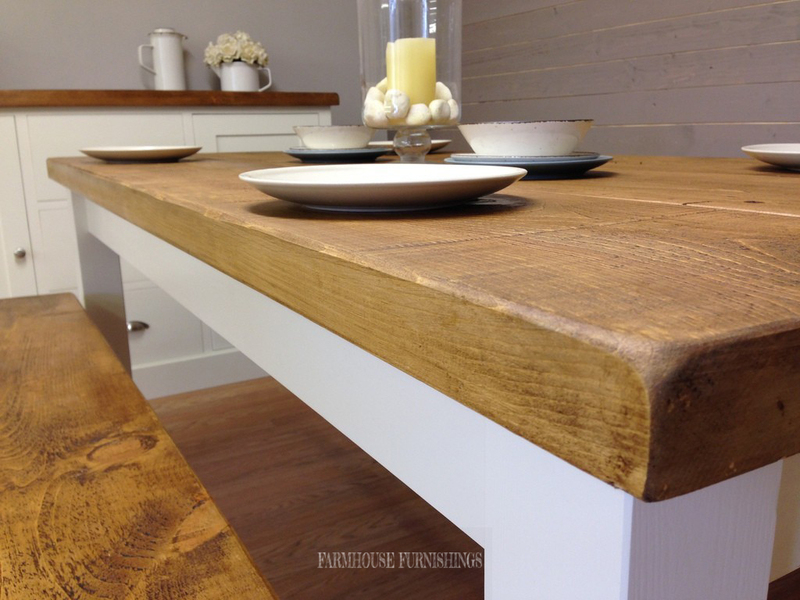 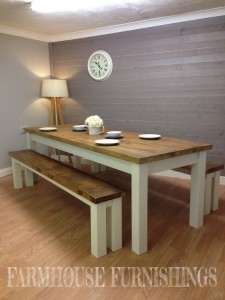 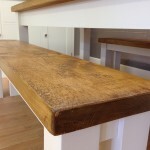 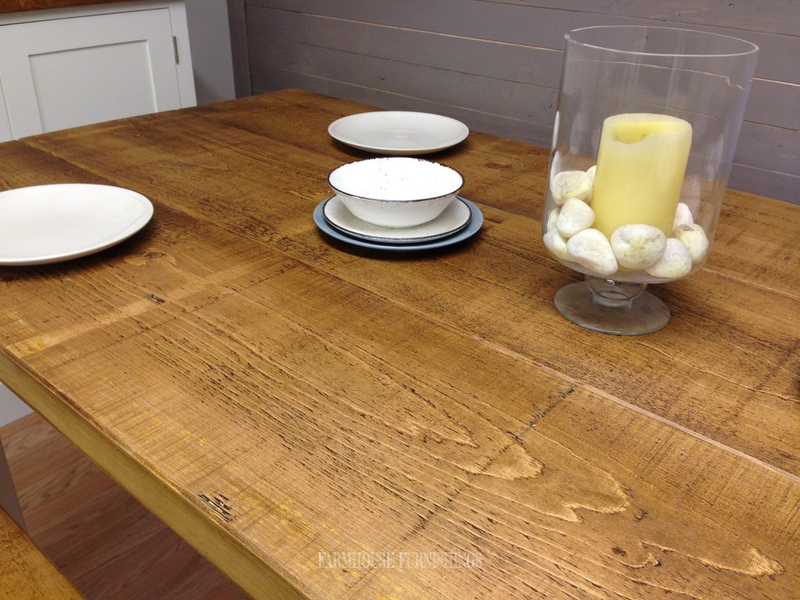 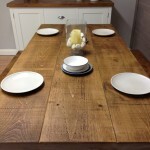 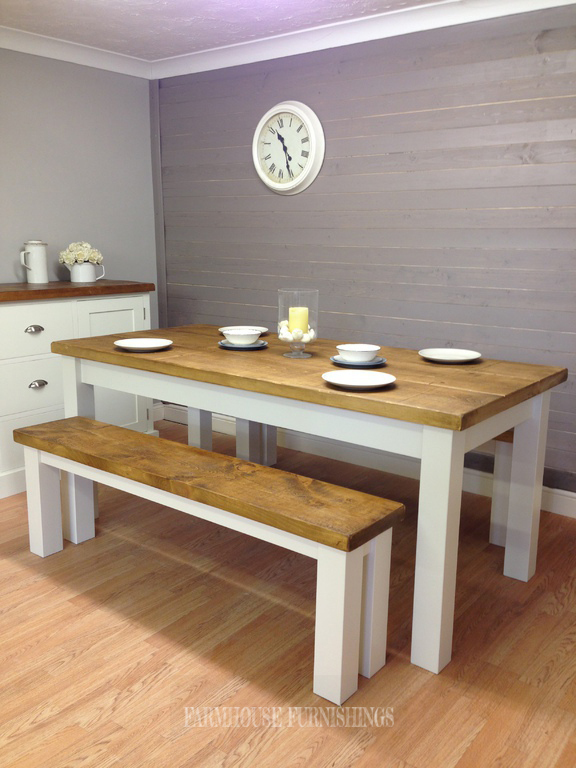 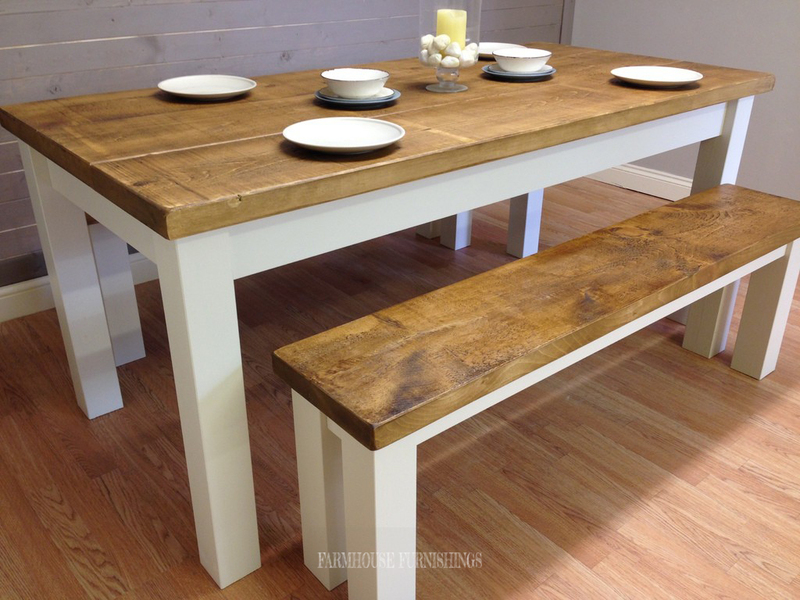 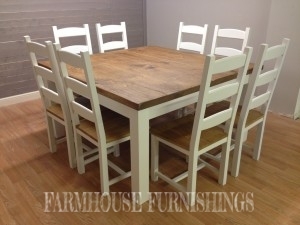 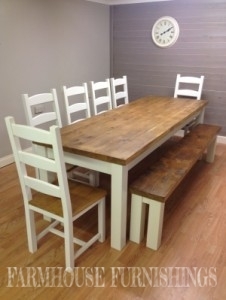 This beautiful table is made of solid pine throughout, the table top has the reclaimed railway sleeper look and texture. 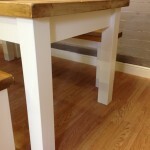 The legs are painted in James White by Farrow and Ball, but included in the price is your choice of any Farrow and Ball colour. 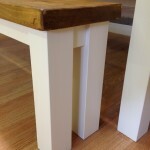 The legs are removeable to make taking in and out of rooms easier. 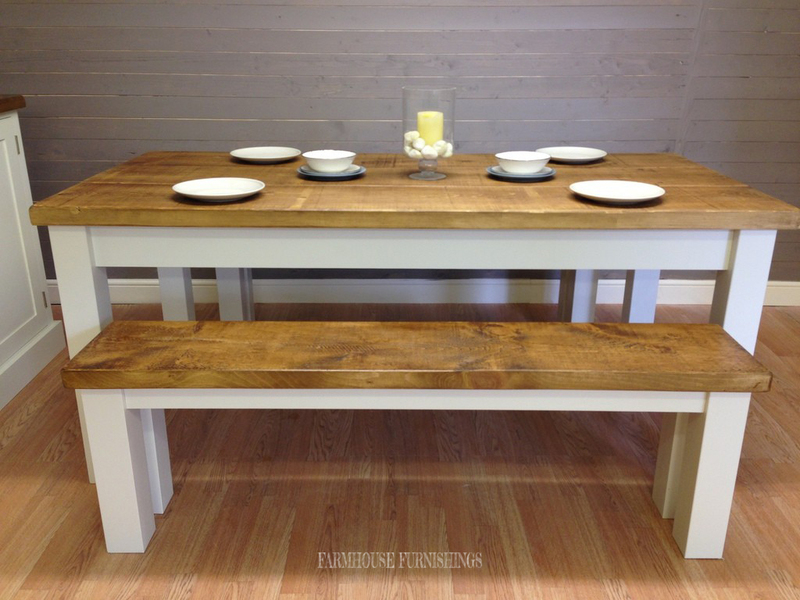 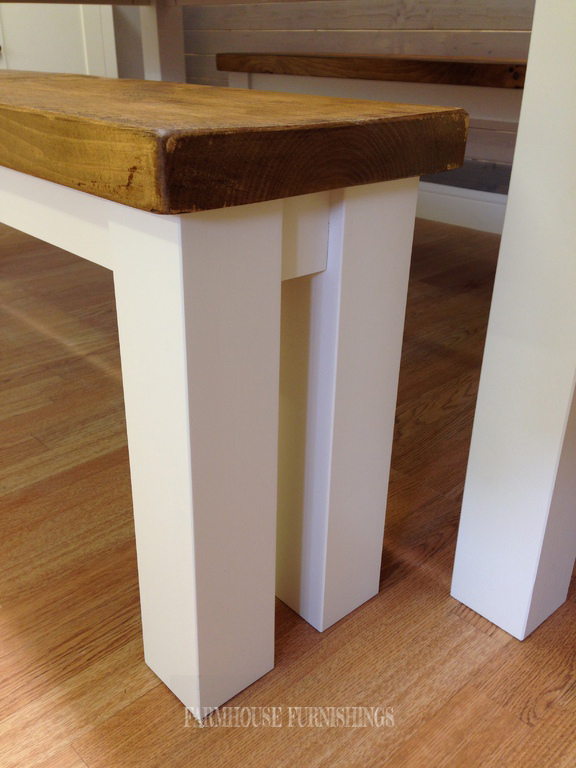 We can make these tables in any size.